Made specifically for Rökker by Jamison at Bellini Italian Restaurant in Madison, Wisconsin, Rökker’s Bellini Martini is based of a classic martini from prohibition times. Tasty and on the sweet side, a gimme for the ladies. 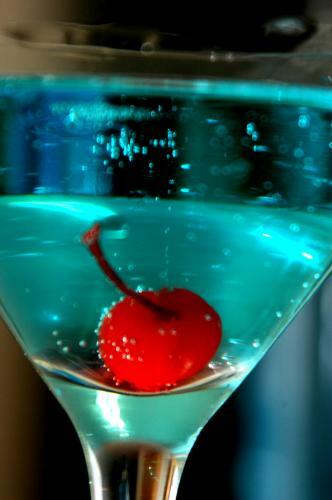 Shake ingredients over ice vigorously and strain into a martini glass. Garnish with Orange slice. What is your vodka made from? How is Rökker Vodka made? Is Rökker Vodka Gluten Free? What and where is Yahara bay Distillery? What do the words above the skull mean? Where can I purchase Rökker Vodka? © 2008 Rökker Vodka. All Rights Reserved. Template design by Free CSS Templates.